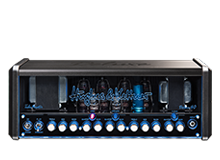 The new TubeMeister Deluxe 40 head is all a guitar player can ask for. 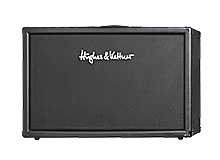 This amp will change your world. It's small, lightweight and delivers one hell of a killer sound! A perfect fit for Kitty In A Casket! The success story of Austrian punk´n`roll act Kitty In A Casket is pretty impressive: three albums in four years, all of them greeted by great international acclaim. Concerts all over Europe, performing alongside legends such as The Exploited and Dead Kennedys. A 27-date US tour plus appearances at renowned festivals such as ´Wave Gotik Treffen` in Germany, ´Nova Rock` in Austria, ´Psychobilly Meeting` in Spain, ´Fiesta du Rock` in Belgium, ´Warhead Fest` in Poland and ´Club Sin` in Finland. Vocalist Kitty Casket and her four guys are definitely a band to watch out for, their irresistible verve setting them apart from the competition, not only on stage but also on their latest album Kiss & Hell (Release date: 26 February 2016). The wonderfully morbid charm that their lyrics ooze, always tongue in cheek, of course. The diversity of their punk rock compositions which alternate between brusque and sensitive, between humorous and deadly serious, between fictitious and autobiographical. But who is Kitty actually? Is she a demon or an angel? Man-eating vamp or seductive Aphrodite? Bitter-sweet temptation or diabolical ruin? So many questions, and only one way of finding out: Kitty In A Casket are a definite must-see!